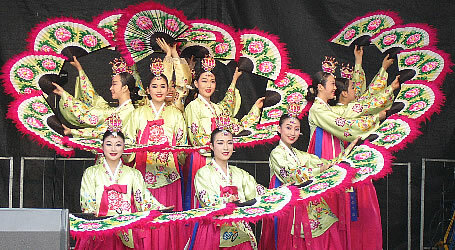 This Saturday is “chobok” on the lunar calendar, or the first of the three hottest days of summer. 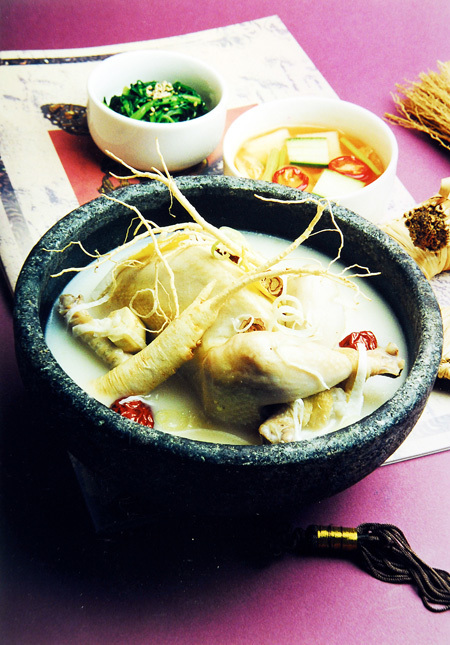 Koreans typically take “boyang” cuisine, or dishes that replenish their depleted energy on these hot days, and “samgyetang,” or ginseng chicken soup, is the most popular. So, people should first know their constitution, or body characteristics. In Korean Oriental Medicine, people are born as one of the four types of constitution — “So-Yang-in,” “So-Eum-in,” “Tae-Yang-in,” and “Tae-Eum-in.” The “Eum” and “Yang” here stand for yin and yang, each, so So-Yang-in and Tae-Yang-in, for instance, have more developed Yang force. Hence, they tend to have stronger and thicker upper bodies while their lower bodies are relatively thin and small. However, it should be kept in mind that it isn’t easy for ordinary people to identify their constitution, and it is recommended that they consult Oriental medicine doctors to determine where they belong. Each has a different body shape as well as personality and associated emotions, and they also tend to have certain organs that are strong while others are weak. Hence, they have dishes that suit them and those that don’t. “Among the dishes we have in summer to replenish strength, samgyetang is beneficial to So-Eum-in who typically have cold and weak digestive systems,” Prof. Lee said. For So-Yang-in, however, it’s quite the opposite. The jujube and ginseng, which are rendered characteristically warm in Oriental medicine, can increase the heat in heart and pancreas. If they eat samgyetang, they can suffer either constipation or diarrhea. Hence, the professor recommends dishes categorized with cool characteristics in Oriental medicine, such as eel, duck barbecue, and summer fruit. However, it doesn’t mean they should eat food that is cold according to temperature. Prof. Lee warned that cold beverages and ice cream can cause them constipation. For Tae-Eum-in, the professor recommends beef, bean noodle, cold “Omija” tea, or schisandra chinensis, and “Maesil” tea, or Japanese apricot. Tae-Yang-in, meanwhile, would find seafood such as octopus and kiwi juice on the doctor’s recommendation list. The following are additional health tips from Prof. Lee regarding how people can spend the summer in a healthy way according to their constitution. Among the four constitutions, So-Yang-in and Tae-Eum-in are especially vulnerable to heat. “So-Yang-in easily feel hot with a small rise in temperature, because they characteristically have much heat in their body and lack patience. Those who find it difficult to tolerate the heat despite being thin are likely to be So-Yang-in,” the doctor says. He recommends these people to exercise steadily — three times a week for over three months — though they often lack the patience to continue. He cites powerful exercises using muscles, such as weight lifting, “Ssireum,” or Korean traditional wrestling, or parallel bars as recommendable for these people. Tae-Eum-in tend to perspire much, and even more so in summer. According to the doctor, those with this constitution usually don’t like moving their body. They prefer sitting, playing computer games, for instance, and more than a few of them are obese. However, as they need to perspire to maintain the body temperature at appropriate level and have good blood circulation, the professor says that exercise that makes them perspire is essential. He recommends aerobic exercise that requires endurance, such as hiking, running marathons, jogging, swimming and cycling. It is also advisable that they take a warm shower in the evening, for the excretion of bodily waste and heat through skin. People categorized as So-Eum-in aren’t very very sensitive to the heat, even in summer — it is an easy season for them. However, “as they have a weak digestive function, they easily get stomachache in the summer, and they are vulnerable to cold from exposure to air-conditioning,” Prof. Lee said. He stressed that taking a lot of summer fruits or cold beverages isn’t recommendable for these people. “Unlike people with other constitutions, excessive exercise only adds to their fatigue. Hence, So-Eum-in are recommended to take light exercises where they don’t perspire much.” He recommended muscular exercises that require endurance, such as golf. These people aren’t very susceptible to heat, but their hands and feet are often hot in summer because their body emits much heat from the inside, according to the professor. He said that exercise that causes a lot of perspiration isn’t recommended for them. Instead, exercises where they control both body and mind, such as qigong, martial arts and kendo are helpful. He added that they should avoid saunas, because it will decrease their desire to urinate and make them lose stamina.